Furniture for sale ads in Australia. Thank you for visiting our free advertising website Furniture for sale, Australia section. We provide high response free classifieds and free advertisement. Use our online free Furniture for sale classifieds placement system to find, list, offer Furniture for sale online! Are you planning to revamp your home decor this festive season? Custom made furniture is a great way to add a unique touch to your home decor. Home Concepts is one of the leading furniture stores in Melbourne having a wide range of elegant, beautiful and sturdy custom made furniture - right from dining tables, sofas, tables, and outdoor furniture. Looking for executive or home office desks in Melbourne? Adept Office Furniture supplies durable and elegant computer & office desks at affordable prices. Visit our website to browse our extensive range of office desks and computer & Home desks in Melbourne. For more information, just visit our website: https://www. If you want to buy designer furniture for your home, cafe or bar. Obodo warehouse is the best place to buy latest furniture designs. Visit : www.obodo.com.au. Are you looking for a bunk bed for your kids that does not take up much space in the room? Just Kids Furniture has got just the right thing for you! Our triple bunk bed is durable, cozy, attractive and also comes with storage boxes where you can keep your kid’s stuff. And it won’t take up all the space in your room. Elle Coffee Tables are known for its stunning and elegant designs. Home-Concepts brings you the exclusive and beautiful Elle coffee tables in different combinations. 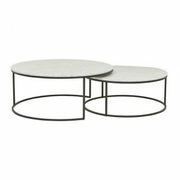 Add a touch of elegance to your living room, buy Elle coffee table now: https://home-concepts.com.au/elle-round-marble-nest-coffee-tables/. Are you looking wide range of upholstery leather? Wortley Group offers a wide selection of sustainable and environmentally managed upholstery leather, the ideal choice for hospitality businesses, healthcare sectors and even leisure markets. Products can even be developed specifically to your needs and preferences, so head to the Wortley Group website today for more information! https://www. Do you want to buy best quality tables in Rockhampton? Then visit Your Home Furniture store offers premium timber tables that perfectly suit your needs. 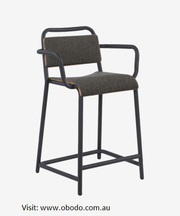 To buy, click http://www.yourhomefurniture.com.au. Shop comfortable and beautiful egg chairs in Melbourne! Comfort and beauty, the egg chairs are a perfect addition to your patio, verandas or backyard. Plus Outdoors brings you a wide range of wonderful and comfortable egg chairs in Melbourne. 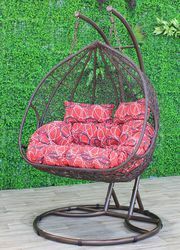 Browse through our site https://www.plusoutdoors.com.au/chairs/hanging-pod-chair.html and check out a fantastic range of outdoor furniture. 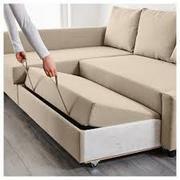 If you are looking for best Sofa Bed in Australia (Adelaide) so, your search end here cause the SA lounge suit providing extraordinary sofa bed in Adelaide and surrounding areas since many years thus, don't waste your time call us: (08) 8359 8840 or visit this website:https://saloungesuites.com.au/product-category/sofa-bed/. Are you having bored by your old style Kitchen and want to Customize as per your requirements? then Contact Desire Kitchens, which is a renowned Kitchen Renovator & Specialize for its Custom Kitchen in Melbourne. When it comes to kitchen design in Melbourne, every family has a different wish list.. Grab the unique collection of standard TV entertainment units and beautiful sofa beds at Your Home furniture store which offers high-quality furniture manufactured by expert craftsmen in Rockhampton.Visit , http://www.yourhomefurniture.com.au/product-category/living/tv-entertainment-units-sunshine-coast/. Exquisite dining tables set the mood for your dining room. At Home Concepts, we have a wide range of dining tables made to order that fits in your space and blends with the home decor. Buy solid timber dining table in Melbourne, visit our online store: https://home-concepts.com.au/dining/custom-dining-tables/. Bunk beds are an ideal choice for houses with limited space. Just Kids Furniture has a stylish, secure and affordable range of bunk beds for kids. Our bunk beds have contemporary design and made with kids’ comfort and security in mind. Check out our collection of bunk beds now: https://www.justkidsfurniture. Australia-based online retail service offering high quality, beautiful designs and modern materials of furniture and home decor products. Our products are made for home, made for you. 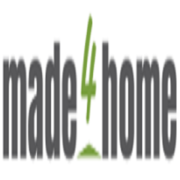 Website: https://made4home.com.au/ Phone: 03 8669 2048 Email: sales@made4home.com.au Address: Factory 6/15-17. 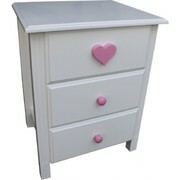 Are you looking for a beautiful, vibrant and affordable range of kids bedroom furniture? Look no further. Just Kids Furniture offers a wide range of kid’s furniture like beds, desks, toy boxes, bookcases, hutches and so on. Check out our custom made kid’s furniture: https://www.justkidsfurniture.com.au/kids-furniture.html. Give your living room a refreshing look with a sleek and beautiful side table in the living room. Home Concepts bring you a contemporary, sophisticated and versatile range of side tables that can go well with any home decor idea. Explore more designs here: https://tinyurl.com/y8pa27zl or call 9510 4990 for any queries. If you are looking for classic yet comfortable Aluminium outdoor furniture or lounge patio furniture for your backyard or patio in Melbourne, visit Oggetti Home. We feature modern luxury outdoor and patio furniture with a unique style and sophistication. Browse our collection here at https://www.oggettihome. Are you looking to buy the best entertainment units in Rockhampton? Then visit Your Home Furniture store that offers premium quality entertainment units and best Scandinavian furniture at affordable prices only. 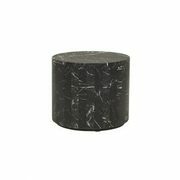 To buy, just clickhttp://www.yourhomefurniture.com.au. Looking to purchase modern and contemporary chairs online? Visit Oggetti Home today. We feature. Our wishbone chair features traditional wood and is paired with a modern design, resulting in a unique piece for your space. Add our stylish chairs to your space and make a statement today. For more questions and enquiries, visit https://www. To learn more about Dial A Bed commercial beds for hotels, motels, hospitals and more, contact us at Dial A Bed. We are the experts in bedding and can provide some of the best advice in the industry for you to make the decision on your bed today. You can call our team on 1300 132 231, and we will be more than happy to help you through any queries. At IMPACT FITOUTS we are about quality to the customer, whether it be Office, Warehouse or Retail, through honesty and reliability we will make the IMPACT you desire. We provide Commercial Flooring in Brisbane and office fitout services. With a setup time of around two mins, this Keter Boogie Kids Slide for Indoors and Outdoors is the best thing to give your energetic children. This multi coloured Boogie slide from the brand Keter comes with a 3 step ladder. It is presented in bright and fun colours and original design. If you have any question, ask us on +61 (03) 9544 6999. For Sale - Slate Pool Table 8 x 4, Charcoal coloured wool cloth, Tasmanian Oak Timber in excellent condition . Price is firm. Are you looking high quality upholstery material? Wortley Group have been established since 1953 and providing high quality upholstery material to it's customers ever since. Wortley Group design, stock and distribute a wide range of upholstery material from it's head office. Explore the Wortley Group range today by visiting our website! 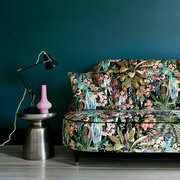 https://www.wgshowroom.com.au/catalog/category/view/s/upholstery-material/id/16/. Want to buy mattress online from premium suppliers in Melbourne? Contact DialABed, your local bed manufacturer in Brisbane, Sydney and Melbourne. 100% Australian made bedding and mattresses online. Direct from the warehouse at discounted prices. Brisbane and Sunshine Coast.. 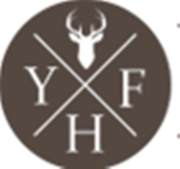 If you’re hunting for a specific furnishing trend, you’ll find the latest pieces at Home Concepts. Seeking a marble coffee table for your living spaces? Scale down a size but upgrade your style with our modern and contemporary marble coffee table selection in Melbourne. With traditional, transitional and contemporary furniture, we have something for every taste—to make a home your own. Are you looking for disability chairs? Well look no further, contact us as we have a complete range of wheelchairs, walking and mobility equipments. https://www.accessrehabequip.com.au/our-products-aged-and-disabled-equipment/mobility-equipment/manual_wheelchairs/. Established in 1989, SA Lounge Suites had a vision of specializing in quality lounge suites, sofas and recliners for the Australian market. Visit us at SA Lounge Suites, Gepps Cross store and be inspired to create a new look for your home! Our skilled lounge experts are dedicated to finding the best solutions for your decorating needs. Give a refreshing and enticing look to your child's room with our children’s beds. Our kid's single bed can make his life vibrant! 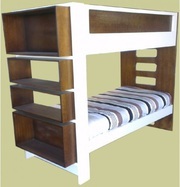 Just Kids Furniture has a broad range of bunk beds available at competitive prices. Whether you are looking for a king single size beds or children’s double beds, we have got you covered. Specialised freight company in Melbourne with 27 years experience. Residential Moves, Bulk Transport, Local and interstate deliveries. Website:	http://www.philsfurniturefreighters.com.au/ Phone:	03 9717 0560 Email:	info@philsfurniturefreighters.com.au Doreen VIC 3754 Australia. Australia free ads for Furniture for sale, Australia, Furniture for sale free ads Australia, Furniture for sale for sale Australia, Furniture for sale to buy in Australia. Find on this page free classifieds for Furniture for sale in Australia. This listing includes classifieds for sale and to buy in Australia. FREEADSAustralia Australia offers you a platform to post free advertisements or classifieds for Furniture for sale in Australia. FREEADSAustralia helps you search, find buy, sell, rent or hire in various categories like apartments, goods for sale, local services, cars , jobs and many more in Australia. If you posted an advertisement in category Furniture for sale of FREEADSAustralia Australia before please use Edit my ads button to change or cancel your ad. Furniture for sale Australia ads Australia, Furniture for sale classifieds Australia, Furniture for sale free ads Australia, ads for sale Australia, ads to buy Australia, FREEADSAustralia Page number 3-1. Find here ads for sale, to buy and rent in Australia. Goods for sale in Australia, vehicles for sale in Australia, Australia real estate for sale, Australia property for sale, property for rent in Australia, business ads in Australia, Australia business classifieds, services in Australia, Australia services ads, jobs in Australia, pets for sale in Australia, Australia dating, Australia cars for sale.